We’ve been watching Tyrese literally have an extreme meltdown right before our eyes. The “Sweet Lady” singer was going through a messy custody battle with his ex-wife Norma Gibson after she made claims the singer abused their 10-year-old daughter Shayla Gibson. She had filed for a permanent restraining order to keep him away from their daughter after his alleged abuse. But now, Ty can thank his lucky stars. According to reports, the Los Angeles Department of Children and Family Services has closed its investigation and they will NOT be seeking criminal charges against the actor/singer. LADCFS began an investigation after Norma filed paperwork that alleged the Fast & Furious actor had beaten their daughter so hard she was unable to sit down. Ty kept his fans up-to-date on the court proceedings in an array of disturbing Instagram posts. His latest “cry for help” featured a video where he was uncontrollably crying while his ex-wife not to take his daughter away. Not only that, he also posted a lengthy Instagram caption aimed at Dwayne “The Rock” Johnson (again) making claims that he and others and others don't care about the well being of his daughter since they're taking side deals without him being involved. 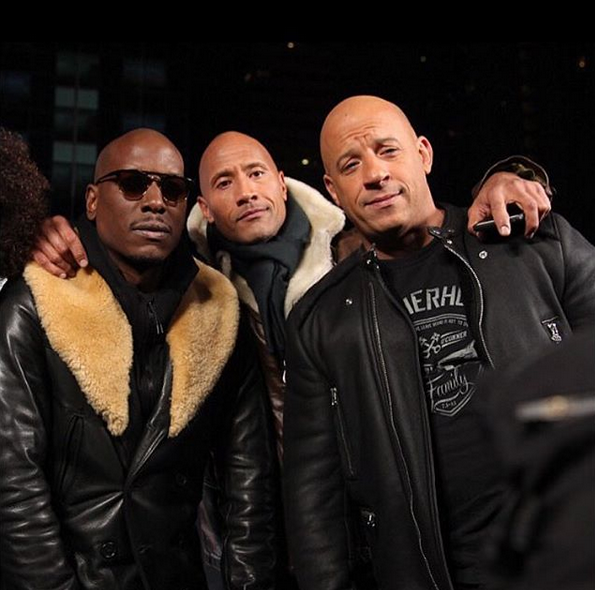 Well, he chopped it up with one of The Rock’s associates and has squashed his ongoing beef with his Fast & Furious co-star. Previously, Tyrese had threatened to leave the Fast & Furious franchise, but he has since had a change of heart. Let's hope this is the end of this for Ty and Shayla's sake. NEXT: Beyoncé Just Recreated (And NAILED) 5 Of Lil Kim's ICONIC Looks – Plus Her, Jay & More Celebs' Couples Costumes!